Originally published in 1956, this masterly essay weaves together the results of research with an independence of judgement which could only come from a long-established expert in the field of Revolutionary studies. The book examines the causes of the French Revolution and the economics involved in the weakness of France’s pre-revolutionary form of government as well as the administrative complexity which was an effective stumbling block in the way of monarchy. 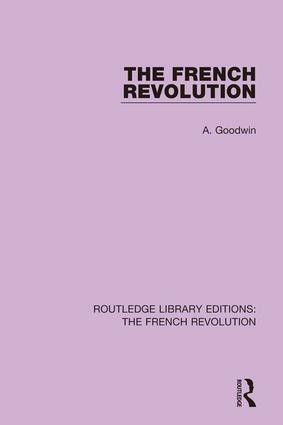 As well as charting key events in the revolution, the conclusion discusses the significance of the French Revolution in the context of other revolutions in both the nineteenth and twentieth centuries.